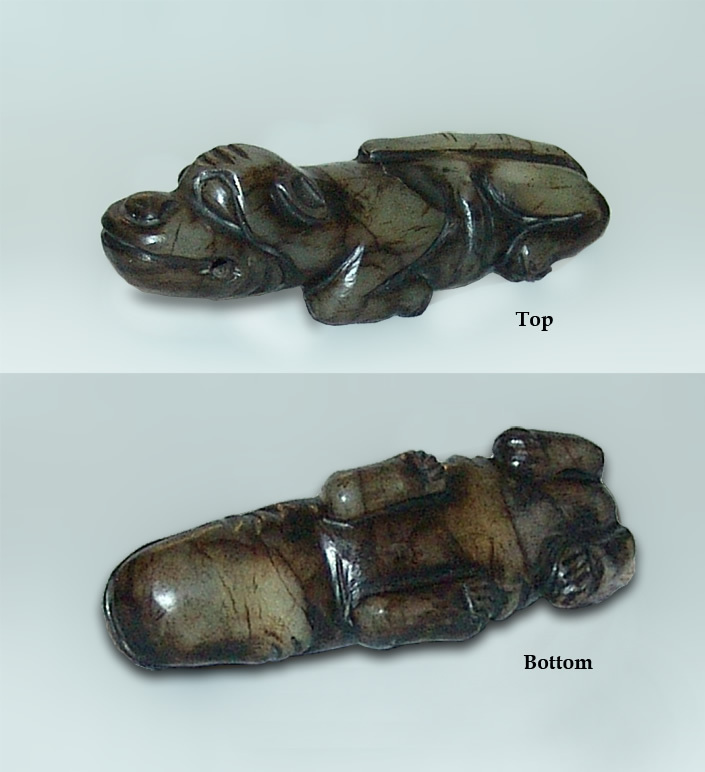 Netsuke * Neprite * Sleeve Weight * Fondling Piece. Mid 18th Century, a rare example of this material used in this form. Here, a happily sleeping dog probably represents the character of the owner, happy and gentle, but to be watched if upset.